Betty Carter properly called jazz “thinking music.” That doesn’t mean intellectual. But the implicit requirement to condense jazz history, harmonic theory, melodic ideas, pulse, rhythmic interest, zest, originality, authenticity and taste all in the moment, she said, means you’ve got to be a thinker. 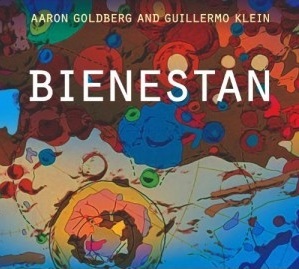 Three sublime, swinging exemplars of thinking music compose this trio of Aaron Goldberg’s. 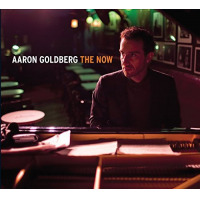 With degrees from Harvard and Tufts, Aaron is a faculty member at the New School for Jazz and Contemporary Music and William Paterson University. Leon Parker, writes Whitney Balliet, “revolutionized” the art of drumming due to his minimal drumset and unique purchase on groove and sound. His seminal “The Awakening” and “Belief” heralded a unique, compelling voice. 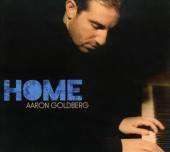 He appeared or recorded with Sheila Jordan, Harvie S., Kenny Barron, Dewey Redman, Jacky Terrason, Brad Mehldau, James Carter and Charlie Hunter. Then, dissatisfied with the jazz scene, Leon moved to France and developed other interests. 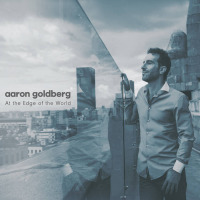 Fast forward to 2012 when Aaron Goldberg found him and (the press release announces) “soon a new project began to take shape.” Meanwhile, Parker was developing new vocal and body percussion techniques that further distinguish him and became part of his collaboration with Goldberg. Matt Penman joins them having met Aaron back in Boston in the 90s while a Berklee student. He is a longtime member of the SFJAZZ Collective and James Farm (with Joshua Redman, Aaron Parks and Eric Harland). 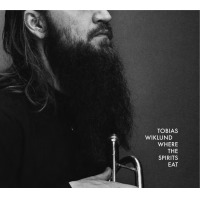 He has collaborated with John Scofield, Joe Lovano, Wayne Shorter, Kurt Rosenwinkel, Kenny Werner, Dave Douglas, Chris Cheek, Seamus Blake, Wolfgang Muthspiel, Guillermo Klein, Rebecca Martin, Nicholas Payton, Fred Hersch and Madeleine Peyroux. He is on the faculty of the new Roots, Jazz and American Music program at the San Francisco Conservatory of Music. Musical thinkers in conversation—an egoless recipe for engaging jazz. Says Goldberg, “I’ve learned so much about losing yourself in a larger whole and becoming one with your fellow musicians, falling in love with them as musicians, becoming selfless and generous serving the music.” Join us for what is sure to be sublimely memorable.